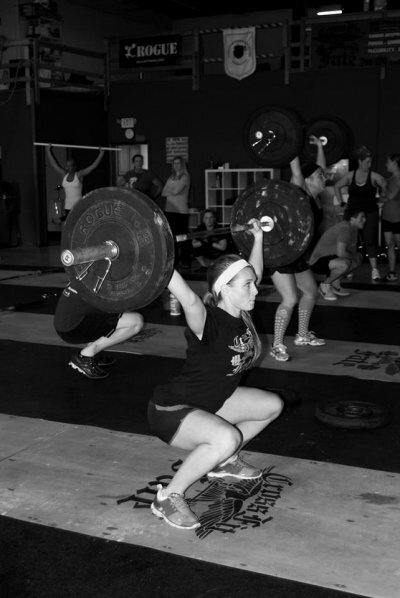 How has CrossFit changed your life, lifestyle, level of fitness? CrossFit has changed every aspect of my life. I have learned the amazing things my body can do and the strength my body is capable of acquiring. CrossFit has given me a reason to wake up in the morning and also an amazing group of friends. The best decision I have ever made was joining CFF8. What are your goals for the next year? I really want to compete in CrossFit!! Tell us something most people wouldn’t know about you? I have a small obsession with Michael Buble. Name at least one embarrassing guilty pleasure: Cleaning & organizing. I’m a bit of a neat freak. Nicole’s story with CrossFit is inspiring as it really encompasses what we are all about and what you can achieve. Not only has Nicole gained confidence in herself as an athlete by discovering things she didn’t know she was capable of, but she has also established a relationship with many of the members and plays a big role in our “CF community”. It’s been amazing to see just how much Nicole has grown as an athlete over the past 7 months; from banded pull-ups to bar muscle ups! Nicole works hard for everything she has accomplished inside and outside of the box and because of that, PR-ing has become a weekly occurrence for Nicole and I see no signs of her slowing down. I strongly encourage you to take the leap and do a competition. I have no doubts you’ll be successful and I bet you will surprise yourself with the outcome! We are all glad Nolan kept nagging you and congratulation on nursing school!